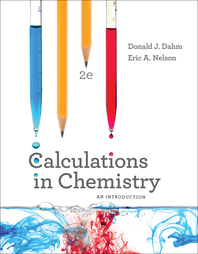 Calculations in Chemistry - Description | W. W. Norton & Company Ltd. Calculations in Chemistry uses the latest cognitive research to systematically teach beginning chemistry students the calculations they need for success in first-year chemistry. Instructors can track student progress with Smartwork5 online homework.